Jump to The 10 Best Clear Backpacks. At first, you would probably consider the clear backpack to be a ridiculous idea. After all, do you really want everyone knowing what you are carrying in your bag? If they are close enough they may be able to see personal items, identify your name and potentially even your address. In addition, if people are able to see what is in your backpack, it may attract the attention of potential thieves. Would you really feel safe having your laptop or other expensive electronic devices in it? Anyone could see the contents and target your bag or a specific pocket without you even knowing; all because they know what they can get. However, clear backpacks are not a bizarre fashion accessory. They have actually been in existence since the 1990’s where they were seen as an ironic symbol; especially by those in high school who was quite happy to flaunt their intimate possessions. Of course, some of the clear backpacks ended up with a variety of cute stickers embedded into them. This made them the perfect accessory for any raver. In any ways, this trend should not be surprising. Chanel has flirted with clear purses and there is a huge range of naked dresses which barely cover the celebrities who dare to wear them. It would appear that clear is a color and it can be as popular as black! While you may not want to take it on your daily commute, if you love attending festivals or any event which draws a big crowd; you might find that it is not a fashion accessory but an essential item. This is because clear backpacks offer a distinct advantage to the security services. They don’t need to rely on scanners or random checks to find anything suspicious being carried in; they can actually look at the contents of every bag. The clear backpack has become a symbol of a society that no longer trusts its own members and is also an ironic essential for any event promoting a better understanding of each other and trust across the world! 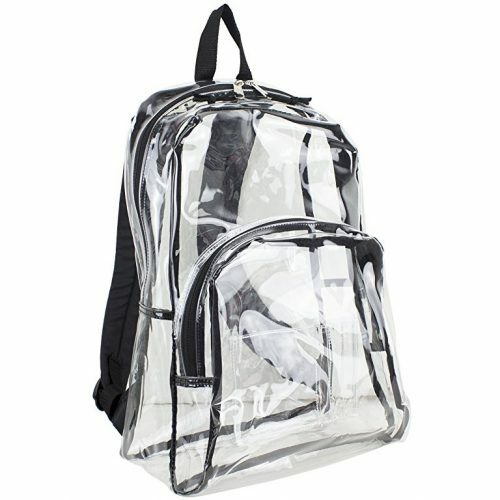 Clear backpacks are now becoming extremely popular again, largely due to the recent school shootings across the country. Having a mandatory clear backpack policy in schools is not a new concept though, with many schools across the U.S requiring them for a number of years already. Following the Columbine school massacre in 1999, some schools began to make clear backpacks compulsory as an effort to ensure the children’s safety. 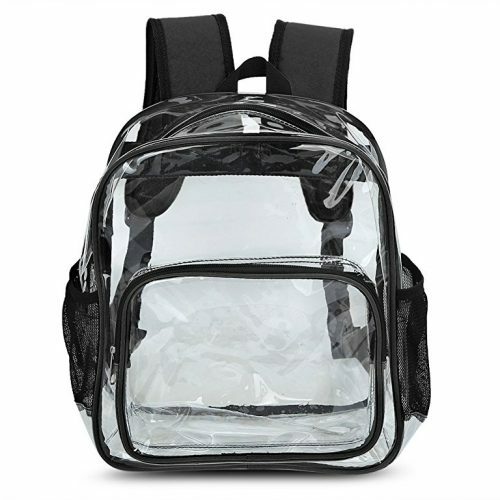 Eventually more schools followed suit, using the clear backpacks more as a method of preventing students from carrying drugs, alcohol or banned electronics, etc. However, a new policy introduced by the NEISD (North East Independent School District) now requires all middle and high school students in the North East District to use clear backpacks starting in the fall of the 2018-2019 school year. The clear backpack school policy has left many people divided on the matter. Some believe that having a clear backpack will help to protect the students from future harm by making it more difficult to conceal weapons, while others believe it to be an infringement on their right to privacy and don’t believe the policy will be effective in protecting the children. For more information on the requirements of the backpacks for the NEISD regulation, see here. Despite the controversy surrounding these backpacks, they are fast becoming a compulsory requirement for many other public events such as music festivals, conventions and even inside sports stadiums. 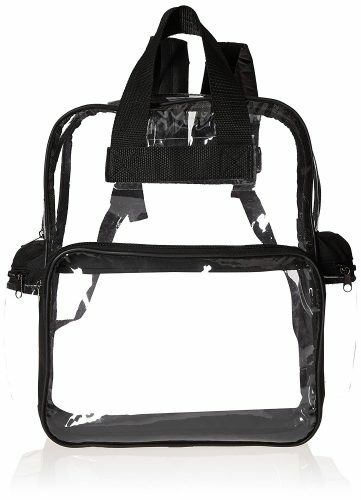 If you are in a school district which requires clear backpacks or you need one for an upcoming festival (or maybe you just really like the look of the clear backpacks!) – We’ve compiled a list of ten great options for you to choose from. With the current tension in the world and the increase in random acts of violence, it appears likely that clear backpacks are here to stay. This is why you need to take a look at the top ten clear backpacks currently available, it’s probably time to add one to your collection. The first offering is made from clear PVC and is designed for use taking your books to and from school. It has been made with the weight of the books in mind and is heavily reinforced to make sure that this is not an issue. In fact, the PVC is approximately 50% thicker than most PVC bags you will find on the market. Although the bag is clear is does have a choice of colors for the piping effect around the edge and zip tracks. The zips themselves are a pale gold color. You can choose the color of the piping from black, orange, purple, red or even royal blue. This bag is very traditional in style, looking effectively like a clear rectangular bag. Other than the trim this bag is completely see-through, even the bottom and back offer complete visibility of the contents. The bag has a main compartment and a smaller front pocket both are closed with zips. Inside the front pocket, there is a mesh organizer which is split into two and capable of holding your cards or cell phone. Alternatively, you could keep pens and pencils here to go with your school books. You will also notice two side mesh pockets which are perfect for carrying your water bottle or even an umbrella. The rear straps are wide with a good level of padding, ensuring they will remain comfortable even if you need to keep the bag on your back for hours. The straps are heavily reinforced and double stitched to ensure they will last the rigors of your daily commute to school; no matter how many books you need to squeeze into it. The bag measures 17 inches high by 13.5 inches wide and has a depth of 7 inches. This means that as well as carrying your school books t could take a tablet or even a small laptop or possible 15 inches would be fine although anything bigger will not fit. Of course, you will need to think carefully about whether you wish to carry your laptop with you to school in a clear backpack. The bag weighs approximately 1.6 pounds and the adjustable straps make it possible for adults or students to wear it without issue. You don’t need to be a student to benefit from this backpack, at under $30 it is affordable to virtually anyone and could be just the thing you need when heading to the races. You should have no issues with security if all your belongings are on display! Of course, being PVC it does have the benefit of being water resistant although some drops may get through the zippers. You may be interested to note that although this backpack is very traditional in shape and effectively a little boring, it is good at what it does and this is reflected in the reviews conducted by Amazon; virtually every person gives it 5 stars. This includes people that use it every day to carry heavy books and sharply pointed items. For the price, you are unlikely to get a better value clear backpack! 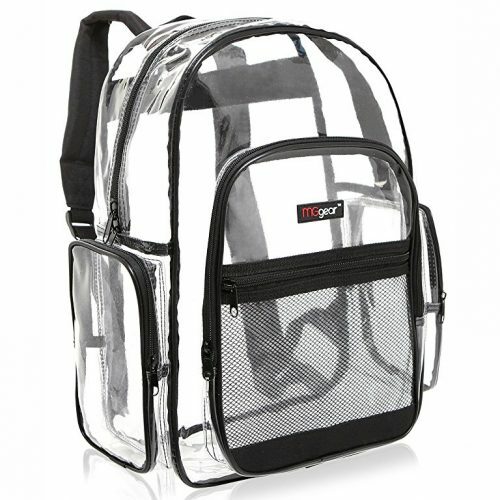 The second offering in the clear backpacks range is by MGgear. This is a well-established firm which produces a huge range of different backpacks, including cross body, sling backpacks and even some which could double as backpack purses. The PVC multi-pockets backpack offered by MGgear is aimed at those who need a reliable bag for the daily trip to school but it is also an attractive option for those who simply like being outdoors. One benefit of this type of bag which has not yet been mentioned is that it is so much easier to find all your stuff when you can see into your bag; it’s like having x-ray vision! The bag still has the same traditional backpack shape as the first contender on this list although the top is a little more rounded and the backpack supports its own shape extremely well; even when empty. It is made of high-quality PVC which offers a good level of water resistance although it does not declare itself as waterproof. There are five different pockets on this bag but it remains possible to see right through it from any direction. Each of the pockets is zippered closed and the main pocket even as a double zip feature for adding security; you can padlock the zips together to prevent anyone from getting into your bag. The bag measures 17.5 inches high by 13 inches wide and 5.5 inches deep; this matches the size of the main compartment. The secondary pocket, on the front of the bag, measures 12 inches high by 9.5 inches wide and 1.25 inches deep while a mesh pocket, complete with its own zip, in front of the secondary pocket measures 8 inches by 9.5 inches. Finally, there are two side pockets, both clear and sealed with standard zips. These measures 8 inches high by 5.5 inches wide. Despite the bag being slightly smaller than the first offering, it is possible to squeeze slightly more into this one. As with any backpack, the rear straps are adjustable. They are made from heavy-duty fabric to ensure they are sturdy enough to carry your belongings and comfortable enough to carry for long periods of time. There is also a loop which can double as a carry handle if needed. The front of the bag is embossed with the official MGgear logo to confirm this is a genuine product and yet this backpack can still be purchased for under$30. This makes it a strong contender with the first backpack for the title of the best value for money. The bag can be used by anyone, thanks to the adjustable straps and you can squeeze a water bottle into one of the side pockets although it is unlikely that you will be able to zip the pocket up. It will also handle your tablet, cell phone, wallet, and even a 15-inch laptop, although you will need to check the exact dimensions. It is robust and durable and has received excellent reviews from almost everyone who bought one; this is certainly one to add to your list! You might wonder why anyone would promote their clear backpacks as ‘freeze proof’ but the answer is actually quite obvious. This backpack is made from freeze proof PVC. The advantage of PVC formed in this way is that it will not crack; which is one of the biggest issues with many PVC products; especially those which experience a lot of wear and repair as well as being used to carry heavy loads. Cracking inevitably leads to weakness and tears in your backpack; rendering it useless. The freezeproof backpack can be purchased in clear with bright pink trim or clear with black trim. This makes it the ideal accompaniment for all women, men and even Goths looking to make an ironic statement! You should be able to pick it up for between $25 and $35 which s exceptionally good value for money as it is an oversized bag. In fact, you can actually purchase this backpack in 3 different sizes, silly listed as small, medium or large. The largest one is 20 inches tall by 15 inches wide and with an impressive depth of 9.5 inches. It’s certain to meet your needs. It is important to note that while this bag is unlikely to crack the PVC is still perishable as it cannot move in the same way that fabric can. Having said that this bag holds up well in durability tests and should be an excellent purchase for the price you are paying. It is made of high-quality polyester and the zips are secured with high quality, almost invisible stitching. The zippers are larger than average making them easy to grasp. They are silver metal and their simplicity is a nice detail on the bag. It has one main compartment which is big enough to take your A4 binders or a laptop, (if you choose). It also has a large exterior pocket; the top of it is curved to add a little extra style to the bag. This has plenty of room for your pens, pencils, cell phone, and even a wallet. In front of this is another zip pocket which consists of a mesh inlay to the outer pocket. This would be useful for anything small that you need to grab quickly, such as an ID card. You will also find two mesh pockets on the side which can hold your water bottles or an umbrella comfortably. The thick padded straps are held securely in place with double stitching to ensure they can handle any weight of books in your bag. They are also adjustable to ensure they can accommodate your size and preferred carrying position. The bag weighs just 1.6 pounds when empty and although not entirely waterproof is as close to it as possible with the open zip style. The cloth zippers are the only area where water could get into your bag. 63% of the people who bought this bag is happy with it. The few complaints that have been received are related to the zips and tearing of the PVC. This is possible with extensive use simply because it is PVC and not fabric. 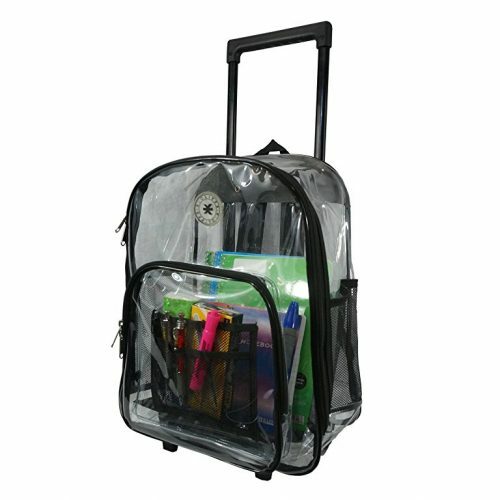 This is a rolling clear backpack which is a newer concept to the market and it is surprisingly good at what it does! Of course, the bag still uses clear PVC to ensure it is possible to see through it. 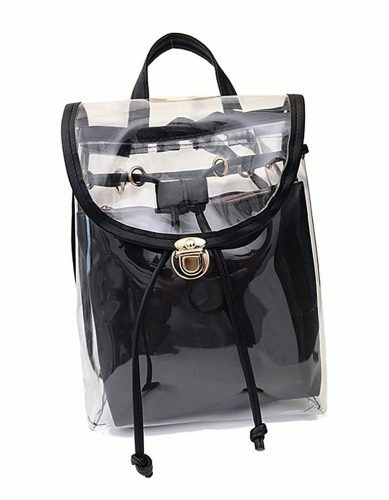 But, it uses heavy duty PVC which is at least .5 mm thick; making this one of the strongest bags on offer today and one of the main reasons it is in this top 10 clear backpacks list. At this thickness, it is 50% thicker than most over offerings, with the exception of bag one on the list. This ensures you can carry more weight than the competition which is an important consideration when you realize that this backpack is on wheels! The bag is 17 inches tall by 13.5 inches wide and has an impressive depth of 7 inches. The pull up handle for wheeling your backpack around is 38 inches long and made from high-quality hard plastic which ensures it will be strong enough to pull the bag around and even lift it occasionally if necessary. You can choose between clear plastic and black trim or clear plastic and red trim; effectively catering for most tastes. The shoulder straps are reinforced and double stitched to ensure they can handle the job of carrying all your books or other items round. The main compartment is extremely spacious and has enough room for several books and your sports gear if required. There is a logo embossed on the front of the main pocket. This zip closes across the top of the backpack although at the front, maximizing both access and the depth of your backpack. It uses a double zipper function to improve the security of the backpack. You will also note there are two mesh side pockets. In keeping with the other clear backpacks, these are designed to hold water bottles, umbrellas or one of each! It is important to note that when you pull the handle up to start wheeling this backpack you need to tuck the shoulder straps into the back padding. This will avoid them getting tangled or ridden over and damaged. The bag weighs 4.2 pounds, considerably heavier than the other offerings on this list but this is mainly due to the carry handle and wheels which, although plastic, do add substantial weight to the bag. The majority of people who bought this backpack were happy with their purchase. It is durable, spacious and easy to maneuver; whether you are using the roll along feature or slinging it onto your back. The fact that it is on wheels means that you can carry more than you normally would safely and securely. Of course, you still need to be able to lift it occasionally; you should ensure you are capable of doing so before you leave home; it can be easy to forget when you are just wheeling it. You may also note that the front and sides are completely see through but the back and base has a soft polyester cushion which does affect your ability to see everything inside. Eastsport is another firm which has been making a range of backpacks, weekend bags and even cargo backpacks for years. The emphasis of this firm is on making high-quality products which will last for years. They are building a reputation s a supplier of quality goods and have an excellent customer service record. This is certainly true when you look at their clear backpack. It retails for under $20 and you would be forgiven for expecting something which will not last. But you would be wrong! The bag is made from high-quality PVC which has the potential to last for years if properly cared for. Of course, it will be prone to cracking and tearing if continually subjected to extreme weather conditions; just as any PVC bag would. There is a good range of colors available; clear with black trim, clear with cobalt blue trim, clear with coral trim, grape trim, green, pink, turquoise and, of course, clear with red trim. The common factor is the clear part and it is certainly clear! You can see through this bag from any angle! The rear straps match the color of the trim and are adjustable to ensure you are comfortable when carrying it. They are held in place with heavy-duty stitching that is designed to withstand the rigors of carrying several books to and from school or all your essentials to the next concert. The bag measures 17.5 inches high by 12.5 inches wide and has a depth of 5.5 inches. This makes it big enough to handle all your school books and even a tablet or laptop, up to 15 inches. The majority of 17-inch tablets will not fit. You may also appreciate the top loop which is webbed to ensure it is strong enough when hanging your backpack on a peg. The main pocket zips across the top and two-thirds of the way down each side, providing easy access to the inside. It has a double zip feature to provide you with the ability to lock the zips together. There is a secondary pocket across the front of the bag, again slightly curved with a zip on the top. This should be able to handle an A5 notebook or pens and pencils. Alternatively, you could put your electronic gadgets in here! What might surprise you is that there are no side pockets for water bottles, but then this is the budget backpack on this list and represents excellent value for money. The bag comes with a limited lifetime guarantee which should provide you with some reassurance regarding the quality of this product. The bag weighs just 1.1 pounds which, combined with the adjustable straps, makes it perfect for children or adults. The fact that the teeth of the zipper are nylon and the head is metal, which means that a metal detector will only be set off by the things you are carrying; not the bag itself. There is simply not enough metal to trigger an alarm. The backpack is great for a multitude of different functions and the fact that it is well put together simply adds to the pleasure of the price. This is certainly worth trying. Of all the clear backpacks on the list, this ones probably the clearest. This may sound like a contradiction but all the clear backpacks have colored trims. These are necessary to bind the PVC together and give additional strength. However, this is the first one which has minimal trim, mainly because it has just one outer pocket and one main one; rendering the bag almost invisible. This clear backpack is made from 600D polyester and weighs just 15 ounces. It measures 15 inches tall by 12 inches wide and has a depth of 6 inches. You will not have any problems fitting in a selection of school books, your tablet cell phone, and a few other essentials. Alternatively, you may want to add a laptop, lunch and some magazines to help pass the time to and from work. The stitching on this backpack is exceptionally strong allowing it to take almost any item; you can even go hiking with it without worrying about it breaking. As mentioned, there are two pockets. The large main compartment and a smaller front one which occupies half the height of the bag and the whole width, again minimizing the amount of trim required. The result is a bag that looks like it is barely there. You could stand it n the floor, even with books in and it probably wouldn’t be noticed. The rear straps are fully adjustable and taper to a point near the bottom of the bag; minimizing the interference of color while still providing a strong and sturdy way to carry your bag with you. There is also a small carry handle which may be of use if you are using the bag on a commute and don’t want to keep it on your back. There are two other pockets which are virtually invisible and could be extremely beneficial. On each side of the exterior is a zip. The pocket is very thin; you would probably only just get your sunglasses in one. The outer part of this pocket is clear but the inner is black; it could make an excellent and safe storage area for your ID card or public transport ticket. It is easy to get to but very discreet. You should also be aware that the bottom of this bag s black; making it harder to see through the bottom but it does provide the bag with a little more flexibility and protection from debris. It is worth noting that this clear backpack is the cheapest on the list, you should be able to get it for between $10 and $15. This does not mean the quality is poor; in fact, it is exceptional considering the price of the bag. Although the straps are adjustable this is a smaller style rucksack and you may find it is best suited to children. This does not mean an adult could not use it but you may find it feels restrictive. The PVC is waterproof but the zips are not treated, so it is listed as water resistant but should keep your vital belongings safe even in the rain. Zicac has been making bags for adults and children for several years and they have an interesting range of products. 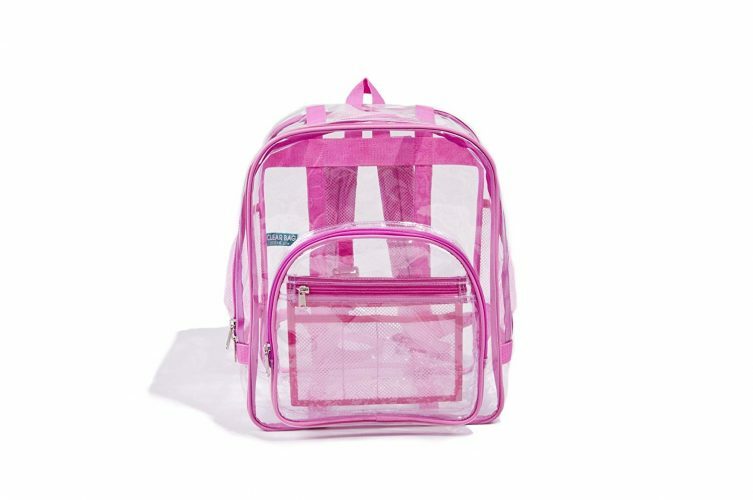 However, if you are looking for clear backpacks for your child, specifically a daughter then this is the one for you. It is fairly small, measuring just 13.8 inches tall by 11.4 inches wide and 5.5 inches deep. This means there is no room for your laptop although a tablet and cell phone will fit easily. Of course, it is important to be aware that a tablet must be inside its own case or it is likely to be damaged by the other items in your bag. The bag is big enough to accommodate an A4 magazine, A4 binder, and some school books as well as pens and pencils. In fact, it is the perfect accessory for a day at school or a day at the beach! It is interesting to note that this bag is marketed as a girls backpack. However, there is nothing that specifically defines this bag as belonging to a girl; it could just as easily belong to a boy! 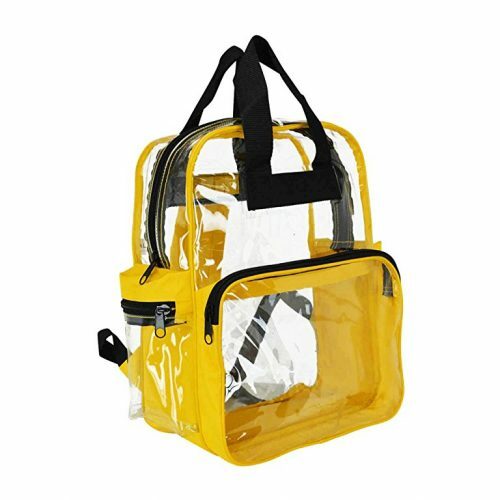 There are only two color choices, clear with black trim and clear with yellow trim; this is distinctive and different to any of the other offerings on this top 10 clear backpacks list making it a viable proposition. The backpack continues the theme of a traditional dome topped shape; this is common to all the clear backpacks reviewed so far. It has a main compartment with a zip across the top which goes halfway down each side providing good access to the inside of the bag. The zip is actually a double zipper which should provide peace of mind as you can lock the two zips together. There is a secondary pocket on the front of the bag which is half the height but only two-thirds of the width. This has a single zip function but is big enough to hold a variety of objects. You will also notice there are two mesh pockets on each side of the bag. These are designed to hold water bottles or an umbrella. Of course, you can put anything else you like in there! As usual, the straps are padded and wide enough to be comfortable even after a long day. They are also made with breathable fabric to help reduce sweating and even heat exhaustion. This clear backpack is simply designed but well built; representing excellent value for money; you should be able to purchase one for between $15 and $25. The yellow trim is a refreshing change and the quality of the stitching, as well as the PVC, should inspire confidence in the backpack. In fact, it is small enough to double as a backpack purse, although it did not make out top ten list as a clear purse is not to everyone’s taste. The fact that it has received five-star feedback from everyone who has reviewed it should make you consider this bag as your next purchase; it has a lot going for it! If you are looking for clear and bright then Dalix has the answer. They have a slightly more modern take on the traditional backpack style. Dalix is a relative newcomer to the scene but it has a range of interesting and fashionable products, including backpacks, caps and even eyewear. This attention to detail and commitment to style is visible in the Dalix clear backpack. 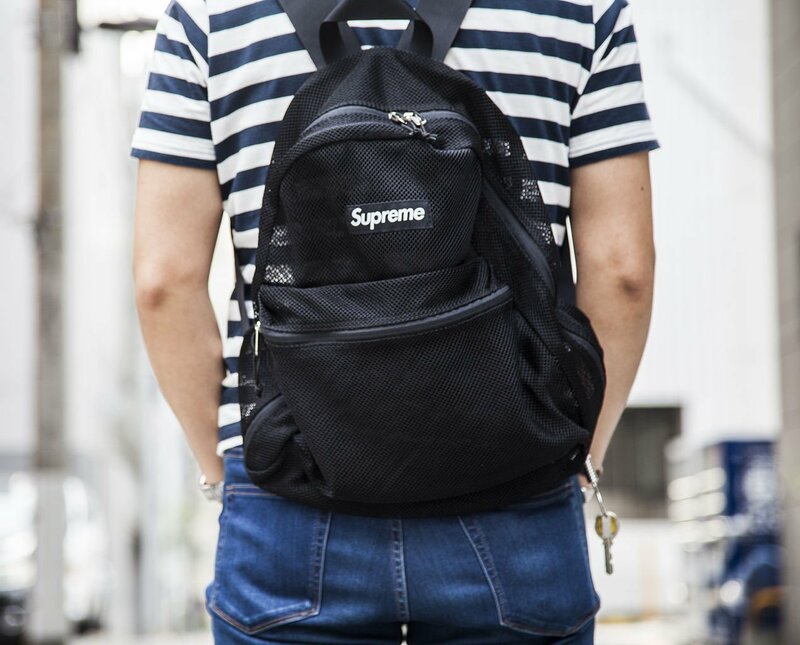 The backpack has the traditional domed top but the outer pocket is much larger than on most, jetting outwards in a rectangular fashion to make the bag seem bigger, brighter and bolder than it actually is. The front, back and top half of the sides of this bag are transparent. However, the base is color coded as is the trim and the lower half of the sides. This adds to the funky nature of the bag but may prevent it from being lowed into grounds that require clear backpacks. You can choose from a range of bright colors including minion yellow gold, light gray, navy blue, purple, red, royal blue and even teal, turtle green or pink! All of the backpacks have a large main compartment which I the same size as the bag. It measures 15 inches tall by 12 inches wide and 6 inches deep. You can comfortably get a 13-inch laptop or any tablet inside although there is no individual pocket for it. The bag is made from heavy-duty clear polyester and vinyl. This gives it a shiny finish which transforms the bag and provides the funky look that is likely to make it extremely popular. The main pocket zips shut across the top and opens in conventional backpack fashion. It is worth noting that all the zips are black metal while the zippers are nylon; you should not have any issues with security. However, there is only one zip on the main pocket so you will be unable to lock it and leave your bag. The outer pocket is 8 inches tall by 12 inches wide making it comfortably big enough for an A5 pad, mp3 player, your cell phone and a few other gadgets. In addition, there are two side pockets which both zips closed. These are not huge pockets but they can be useful for things you need to keep to hand, like an ID card or your sunglasses. They might be big enough for a water bottle but the zip would need to be left open and it would depend on the diameter of the bottle. As usual, you can adjust the rear straps to ensure it fits comfortably on your back. They are padded and sturdy and can be adjusted to a maximum of 26 inches, perfect for adults or children; although this may be tight for an adult male. The fact that it weighs just 14.4 ounces should ensure even your youngest child can carry it easily. This backpack is as waterproof as any other PVC backpack, the only weak area is the zip but for a price of between $10 and $20, you really can’t go wrong! With a little care, this bag will last you for as long as you need it. As always, you simply need to remember that PVC does become brittle and crack over time; this is not a backpack for the heavy-handed. This is the second offering from Zicac and it is distinctly different to their first and all the other clear backpacks on this list. The reason for this is simple; it is designed as a drawstring backpack instead of a standard looking backpack. This makes it refreshing and an attractive proposition for anyone as it costs between $20 and $30. You can opt to have this in two colors, clear with pale green trim or clear with pink trim. Both variants look good! The bag has one main compartment which closes with a traditional drawstring. To ensure your items are safe there is a flap which goes over the drawstring opening and buckles down at the front. This buckle is actually adjustable to help you squeeze the extra few items in. Of course, as PVC is not very flexible you shouldn’t push the limits of your backpack too often, it is likely to end with a cracked or torn bag. The bag is made from traditional PVC and the straps are made from soft fabric. They are comfortable and adjustable which should help to ensure that you can wear the bag all day without issue. Unusually you can also remove these straps; they clip on at the top and the bottom. The bag can then be carried by its top carry handle; more like a hand bag. 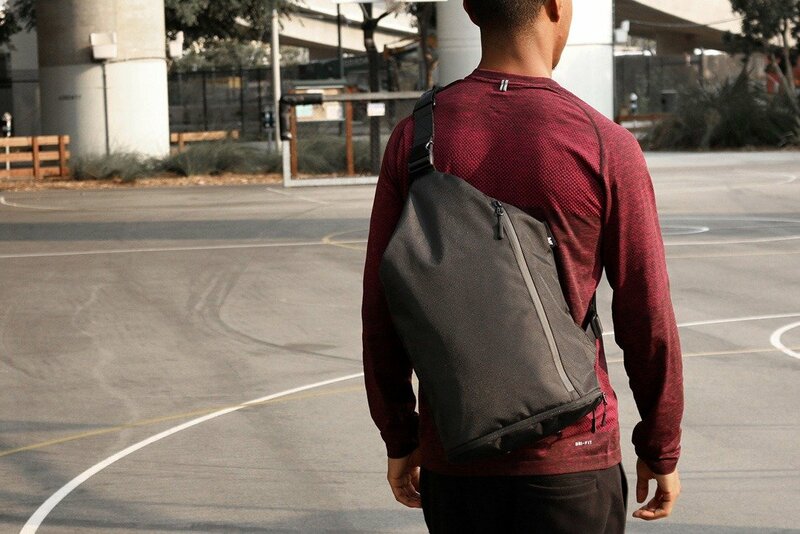 Alternatively, you can connect one strap diagonally to make it possible to carry the backpack as a shoulder bag or even a sling backpack. The bag measures 11.8 inches high and 10.2 inches wide with a depth of 4.7 inches. Of course, this will get narrower at the top as you pull the drawstrings together. There is a selection of useful pockets on this bag. The main pocket will house your A4 binders, magazines, school books or even a tablet. It is unlikely that you will be able to fit a laptop inside this backpack. Alongside the main pocket you will find a relatively small front pouch, this is perfect for your cell phone or other small valuable items. This is held closed via another soft buckle. There are also two side pockets which are buckle closures. These are big enough to hold a wallet or similar size object. The versatility of this bag simply compliments the style which is good enough to draw positive comments from your colleagues or school mates. It is certainly big enough to be used as a school bag or as a daily commute bag; especially if your job involves security and a clear bag is essential. This bag can also double as a backpack purse if required making it the only bag you ever need to carry again. The fact that the rear straps come off allows you to carry it by the centre handle and turn it into a perfect evening bag. The possibilities really are endless! The general feedback relating to this backpack is positive as most people love how cute it looks and yet how functional it is. Whether you want to hit the beach or the bar, you can be confident carrying this clear backpack with you. Just remember that everyone can see what you put in there! 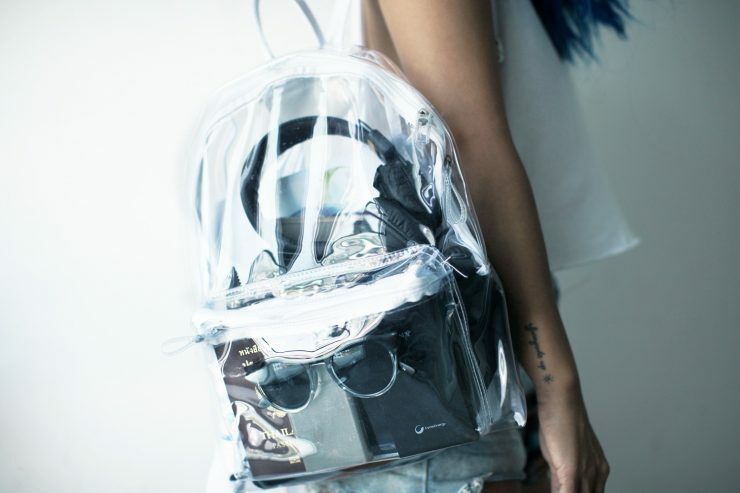 The final entry on our top ten clear backpacks list is definitely one for the girls. Jesdo specialize in making transparent products and aim to bring versatile but fun quality items to the market. In the case of the 2 in 1 clear drawstring backpack, they have succeeded! This particularly backpack does not look like a drawstring backpack or even a conventional backpack. It looks like it was styled on a traditional evening bag and then turned into a backpack. They have completed the conversion well! It is important to note that although this is listed as a clear backpack it is not completely transparent. The bag can be purchased in a range of colors; these include black, blue, beige, magenta, pink and purple. The outer shell of the bag has been created from standard PU leather but finished to an extremely high quality. The seams are invisible. There is just one pocket and this is closed via a traditional drawstring arrangement. Over the top of the drawstring is a flap which fastens shut via a standard clasp. 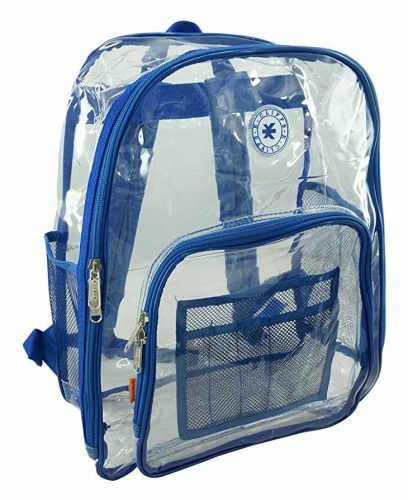 The difference to traditional clear backpacks is that there is a secondary bag inside this first one. The zipper bag inside is the color of the trim and made from polyester. It is worth noting that the PU leather inner bag will have an initial chemical smell; but this will disappear after a few days. The inner bag occupies most of the main compartment but that it can be removed if required. It can the double as a handy purse or simply expand the space available in your backpack. The inner pouch measures 7.5 inches high by 7.9 inches long and just 2.36 inches deep. This bag measures 11.4 inches high by 9.2 inches tall and 3.9 inches deep. This makes it big enough to handle your iPod, money, cards and a selection of essential make-up items. However, it will not accommodate an A4 pad or binder. This means it is not a useful bag for school but is designed as a stylish, yet security conscious bag for evenings on the town and attending any big event. As usual, the rear straps on this backpack can be adjusted to ensure they are a comfortable fit. You can even shrink them to make it appear more like a shoulder bag than a backpack. 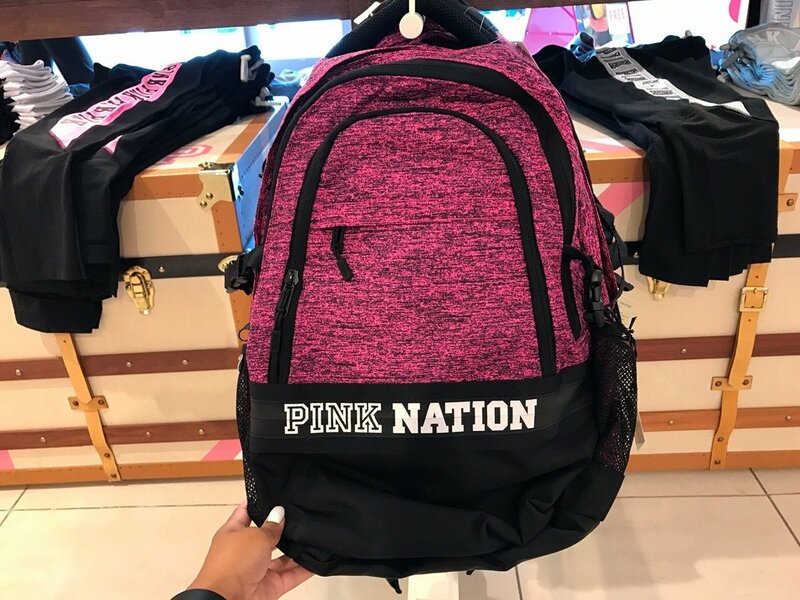 You might be surprised to learn that you can have this stylish and fashionable drawstring backpack for between $20 and $30! The straps are fairly narrow but still comfortable considering the size of the bag will limit the weight you can put in it. It can be worn as a chest bag or you can tuck the straps in and use the carry handle to create a standard handbag / evening bag look and feel. 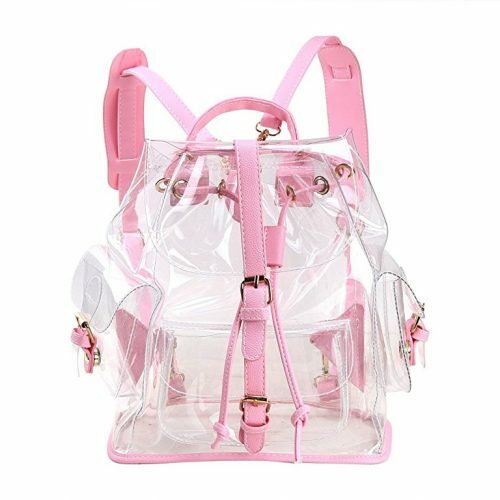 This is definitely the most stylish of the clear backpacks on this list, it is also the smallest but this might be why it is so appealing; Although the amount of things it can hold is limited there is enough space for your essential items. The quality of this product is excellent, f you do not need anything large then this is definitely the best clear backpack currently available. You can even purchase it in several colors to make sure it matches every outfit. Once you have decided that the clear backpack is the best way forward for you then there are a number of factors to consider before committing to purchasing one or another. Your decision might be influenced by the reason you are buying a clear backpack. After all if you specifically one to make a style statement then this is one way to do it, although not the only way. However, if you need to use clear backpacks to carry your personal possession in and out of work then you will have more of a need than a desire for a clear backpack. The first thing you need to consider is what will you need to put into your backpack? If you are using it for work and regularly carry your laptop then how big is your laptop and which bags will allow you to fit it in? This might limit the options available to you but it is an important consideration. There is no point getting a clear backpack and then having to carry your laptop separately! You should also consider what other items you may need to carry at the same time. This will ensure you choose a bag which has enough space for everything and a little spare for surprises. If you need a clear backpack for work but have concerns over travelling with your personal items on display then you can also use a jumper or even a towel to cover the inside of your bag during transit. Just remember to remove it when you get to your office! Just as the size of your backpack is important to ensure it can handle all your belongings, it is also important to consider what you will be using your clear backpack for. The most obvious example is work, any bag you take to work needs to show that you are a professional at what you do and that you take yourself seriously. This will ensure that others take you seriously too. As much as it would be nice and potentially fun to buy one of the brightest, most entertaining backpacks this might backfire in the office. Even if you are used to be the class clown you might regret it when you see others, who are probably less capable, being promoted over you. You are looking at the best clear backpacks and studying a guide to buying the right one. This means that you either need or want a transparent backpack. However, there are degrees of transparency and this can make a difference. Some of the backpacks on this list are completely transparent. Others have solid bottoms, sides or even backs. While this may help them look stylish you may find that they are not accepted at your office or at the big events you like to attend. At this point, you will realize that you have wasted your money as you still need to go through the standard security procedures or they don’t let you bag in! It is worth checking before you buy to make sure the bag is transparent enough to meet your needs. In general clear backpacks are made from PVC and are relatively inexpensive. This is partly because PVC is a cost efficient material to make and partly because these backpacks often have limited shelf lives; the PVC will crack and even tear after extensive use. This means that most of the clear backpacks you see will be within the range of a modest budget. All the ones on this list can be had for under $40; at this time. However, this does not mean you shouldn’t have a budget. The amount you are willing to spend should depend on your experience of clear backpacks and what you need it for. More is not always better and if you are likely to go through several a year from overuse, paying less could be the most attractive option. If you have decided that a little color is acceptable at work, or the clear backpack is for fun or even school use then you will need to consider which color to go for. Picking a bright one can be fun but you may struggle to match it to your everyday clothes. You need to consider your usual wardrobe and which colors will go best with most outfits. If you really can’t decide then it is best to stick to neutral colors like black and gray; these will go with virtually any outfit. Anyone can carry their items to and from school or work in a carrier bag. Unfortunately, this is not the most comfortable way of carrying anything. The handles will dig into your hands and you may struggle with doors and getting money to pay for fares, etc. This is one of the reasons that backpacks are so useful and popular. But, they come in a range of designs; some are much more comfortable than others. If you are likely to be commuting a lot then you need to ensure that your clear backpack has good quality straps. They should be thick with plenty of padding and securely fastened to the bag. This will ensure they feel good on your back and don’t break half way home. It is also worth confirming how comfortable the bag feels when you have both straps on; this is the safest way to travel both for your health and to prevent dropping your bag or having someone try to ‘borrow’ it. There are hundreds of different manufacturers making clear backpacks. It is worth checking out who has made the one you are thinking of buying and finding out whether they have a good reputation. This should cover the quality of the product and how good their customer service and after sales response it. You can also verify the reputation of a product by looking at the reviews left by people who have already bought the product. This is one of the best ways of finding out the true picture as people will be relaying personal experiences. However, you should look at the overall theme of the reviews and not dwell too much on the individual comments; people can always find something wrong with any product. You have already considered what items you need to carry with you on a regular basis but have you considered how to store them? For instance, if your cell phone needs to be in your clear backpack is there a pocket which will take your phone and protect it from being damaged by other items in your bag? The pocket will also need to be easily accessible by you to make sure you can deal with any phone calls or messages while on the move. You may even want to listen to music while travelling, in which case you will need to see how easily your headphone wire can go in and out of the bag. More pockets does not always mean the bag is better but you do need to consider what is likely to be the best arrangement for you. It is important to look at the quality of the stitching. If you are ordering online you might not be able to do this until the bag has arrived. This is not a problem; you simply make it your top priority and then return the bag if it does not meet your own standards. Bad stitching can mean that the bag is of poor quality and will not last long. You don’t want it falling apart the first time you use it. Assuming you have followed these tips it may be worth assuming that the manufacturer has simply sent a bad example and asking for a replacement. Of course, if the stitching is bad a second time then you will have to ask for a refund. Perhaps the most important tip is to get a bag that makes you feel good! You can spend hours mulling over which is the right bag for you but in truth, there isn’t a perfect one. Quite simply your needs and desires change constantly. The bag that is perfect today will not be tomorrow, or next week or next month. Certainly, the tips in this guide should help you to find the right bag for your needs but the final decision should be the one that feels right in your gut. This will be the one you are happy to show off in the office and don’t care how the others react. In general clear backpacks are the domain of those who wish to make a statement, people who regularly attend big events with extensive security or those who need them for work. If you fall into one of these categories then you need to see the top ten list of clear backpacks. Backpacks are very practical ways of carrying your items and keeping your hands free. But, this does not mean you have to do it without a little style. That might be harder to achieve when you are looking at clear backpacks but it is possible, as this article should have shown you. Of course, the list is also valid if you are looking to purchase a clear backpack simply for the fun of it. But, it is important to look at the guide for purchasing a clear backpack; it can help you to select the right one and may even send you in a different direction altogether! No matter which backpack you choose it is essential to remember that everyone is different. The bag that suits you is not the same as the best one for your friend. Even if your colleague has a cool or pretty clear backpack you may find that they are not as happy with it as they appear or that you will simply find it frustrating. Clear backpacks are generally not expensive but this does not mean you want to be picking a new one every week. Study the guide and think carefully about what you need before you commit to buying one. Then you are most likely to enjoy it and get a reasonable amount of use out of it.